Renowned as the heart of Virginia’s Hunt Country, Middleburg offers a variety of equestrian events throughout the year, including the Middleburg Spring Races, but it’s also a well-known destination for the arts with events such as the Middleburg Film Festival. And, of course, Christmas in Middleburg draws thousands of visitors, who line the streets each year to watch the parade and the Middleburg Hunt & Hounds Review. Check the calendar below to find out what’s happening around town. Who says you have to go on an Easter egg hunt during the day? Experience the thrill of hunting for Easter eggs in the dark with glow in the dark eggs. Collect your eggs and prizes for a “glowing” holiday! Bring your own basket, entry fee is a canned good item to donate to Seven Loaves Services. For additional information, please call 540.326.4060. Creme de la Creme, 23 E. Washington St.
Join Creme de la Creme for a Julie Vos Trunk Show April 19-21! Shop your favorite pieces and the NEW spring collection. Market Salamander, 200 W. Washington St. Enjoy a delicious brunch buffet with holiday favorites for the entire family this Easter. Our brunch will include an omelet station, ham carving station, smoked salmon, delicious sweets and so much more. $45 per person, $16 per child. Bottomless mimosas, $15 per person. Reservations required, please email sguzman@salamanderhotels.com. 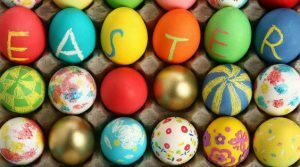 The Red Fox Inn & Tavern, 2 E. Washington St.
Join us for a festive family-style feast with springtime favorites for a special Easter dinner. 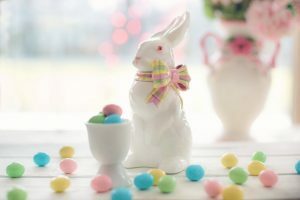 Served for sharing, enjoy time with your loved ones over a delicious dinner while taking in the sweeping views of the Virginia countryside, and visits from the Easter bunny himself. $92 per person, $45 per child. Reservations required, please call 540.326.4070. We Love our Teachers at Hunter's Head Tavern! Every Tuesday, Teachers can take 20% off their entire meal (Dine-in only, Must show valid school id, cannot be combined with other offers).